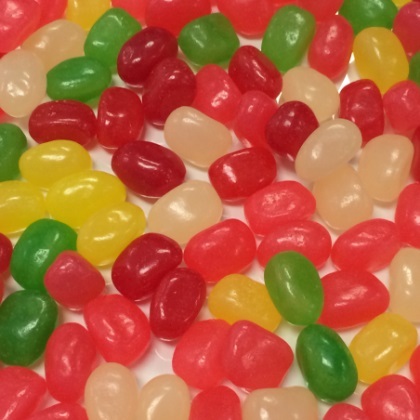 A variety of spiced jelly beans including cinnamon, spearmint, wintergreen, clove and peppermint. 4.5 lb. bag. Approx. 16 pcs per oz.